David Jeffries of Sierra Nevada Solar provides a breakdown. Most people who look into going solar know about the 30 percent federal Investment Tax Credit. But many don't know that there are more than 100 different solar tax credits, rebates and incentives in the state of California. In fact, there are so many solar incentives that many of the solar installation companies operating in California don't even know about the policies in a given area. The California Solar Initiative’s rebates and other incentives on solar panels installed on residences could push consumers from thinking of solar as being a pretty good deal to seeing it as a complete no-brainer. Here is a guide, in alphabetical order, to local solar incentives in California. Anaheim – Solar PV Buy Down Program: Like many municipal agencies, Anaheim Public Utilities has incentive programs that open and close. The next Solar Rebate Application period will offer a $1.25 per watt residential rebate. It takes place over a two-week period from May 14, 2015 (8:00 a.m.) through May 28, 2015. Sign up early, or you’ll feel like you’re waiting in line for Space Mountain. Azusa – Azusa Light & Water Solar Partnership Program: The City of Azusa has a waiting list for the next time the program opens. Rebates during the last go-round were $1.03 per watt. Bear Valley Electric Service: Bear Valley is at step one of its residential solar initiative with an attractive rebate of $1.60 per watt. Burbank – Solar Support Program: Burbank Water and Power has a solar rebate program that next opens July 2015. Rebates were $.96 per watt on the most recent go-round. Corona: The Corona Department of Water & Power currently offers a $.98-per-watt discount. The maximum credit available is $2,940 (for a 3-kilowatt system), but the catch is that most of Corona is actually served by Southern California Edison, with only 3.4 percent of Corona actually served by the Corona Department of Water and Power. Glendale: Glendale's program starts taking applications again on July 15, 2015. If you live in Glendale, tattoo this date on an important body part. Solar rebates in Glendale go faster than hotcakes, because they are huge. The most recent solar rebates in Glendale were $1.61 per watt. Keep in mind that the average solar installation costs about $4 per watt, so if you take off $1.61, you’re looking at $2.39 per watt before the federal Investment Tax Credit. After all incentives are taken into account, many Glendale residents see a cost per installed watt for solar PV below $2 -- which is why those rebates are snapped up so quickly. Gridley PV Buy Down: Gridley’s last buy-down was in 2012-2013, and the program's website hasn’t been updated in a while. It may open again at some point. Healdsburg PV Incentive Program: The city of Healdsburg does something completely different than most cities by not only having a solar PV program, but also putting out information about it in English that normal people can actually understand. Like most PV rebate programs, discounts are paid in declining “steps,” and the best steps were filled long ago, but rebates remain and can be found on page 11 in this 12-page handbook. Hercules PV Rebate Program: While many resources on the web talk about the Hercules PV Rebate Program, it actually does not exist anymore, since the Hercules Municipal Utility was sold in 2014 to Pacific Gas and Electric. Imperial PV Solutions Rebate Program: Customers of the Imperial Irrigation District see rebates of $.50 per watt. Unlike most rebate programs, there is actually less demand for residential solar PV in the area than is needed to take down all the funds that have been set aside. The 2015 program is now closed; the website recommends checking back periodically for updates. Lodi PV Rebate Program: Residents of Lodi got rebates from the City of Lodi Electric Utility for going solar in 2014 of $1.80 per watt, up to $7,000 and not to exceed 50 percent of total system cost. When the next rebates go live, if the program gets oversubscribed (which it probably will), the rebates go into a lottery. If you live in Lodi and you haven’t gone solar yet, you’re missing out on a good value. Lompoc: In 2014, Lompoc residents got a serious rebate for going solar -- $1.50 per watt. The current rebate amount is $1.00 per watt. Los Angeles Solar Incentive Program and Feed-In Tariff Program: Los Angeles Department of Water & Power (LADWP) customers formerly had very, very large rebates available, but as the steps go higher, the opportunity is dwindling. However, at $.40 per watt, the current rebate levels are still pretty good. Customers of LADWP also have the opportunity to sell any extra electricity generated back to the utility at a rate of up to 17 cents per kilowatt-hour. At the present time, your system has to be 30 kilowatts or larger in order to sell energy back, which is a pretty large system, but residents with ample real estate or roof space may want to take advantage of this opportunity. Merced Irrigation District Solar PV Buydown Program: In 2014, residents of Merced that were lucky enough to get in on the solar rebates got $1.50 per watt up to the first 3 kilowatts ($4,500). The next funding tranche is to be released April 1, 2015. Modesto – Photovoltaic Rebate Program: The Modesto solar rebates program has been set at $.40 per watt with a cap of 5 kilowatts ($2,000 max), which started taking applications on January 5, 2015. Modoc & Siskiyou Counties – Pacific Power PV Rebate Program: Residents who use Pacific Power as their utility can take advantage of Pacific Power’s PV Rebate Program, which started at $2 per watt and goes down in steps of $.25 per step. The Pacific Power is currently at step six for residential projects, at $.45 per watt, with one step remaining. Pacific Gas And Electric: If you’re within PG&E’s coverage area and you haven’t gone solar yet, you're too late. Better luck next time. 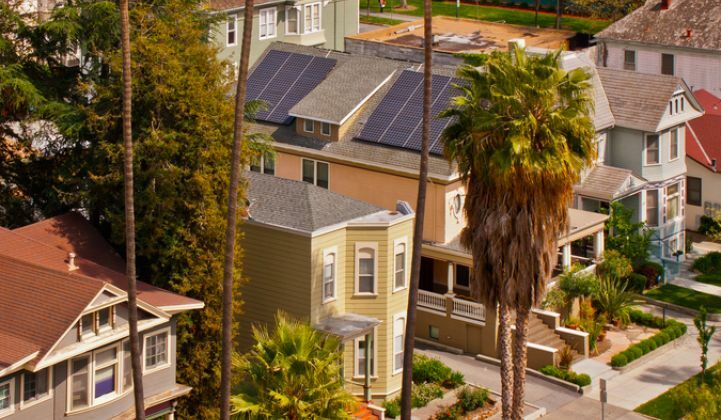 Palo Alto – PV Rebates and Feed-In Tariff Program: The city of Palo Alto has good incentives for rooftop solar, with both hefty rebates and feed-in tariffs available. Most recently, rebates were $.80 per watt, and while the current incentives are fully subscribed, that means that now is the time to get on the wait list. Customers within the city of Palo Alto also have the opportunity to sell energy generated by solar installations to the city at a price of 16.5 cents per kilowatt-hour for 20 years. Pasadena Water & Power – Solar Power Installation Rebate and Performance Based Incentives: If you use Pasadena Water & Power as your utility, current rebates are $.85 per watt, and for the first five years after installation, you will receive $.129 per kilowatt-hour generated. Plumas, Sierra, Lassen, Washoe Counties – Plumas Sierra REC PV Rebate Program: Within these counties, 2015 applications are being accepted now. The rebate is $1.68 per watt, up to $6,000. Redding Electric Solar Rebate Program: $1 a watt, up to 10 kilowatts and the program closes June 2015. Hurry! Riverside Public Utilities: Live in Riverside? Starting July 1, 2015, the rebate program reopens, offering a $.50 per watt rebate -- with no cap on max system size. Roseville Electric: Roseville Electric’s program is currently open, but incentive levels have dropped to step 10 -- just $.24 per watt. The only reason to go solar in Roseville now is to save the planet, or maybe to avoid paying egregious electricity rates in the summertime. Sacramento – SMUD PV Residential Retrofit Buydown: Barely worth the paper you’d use to write the contract, SMUD uses confusing language to tell you they give you approximately bupkis ($0.20 per watt) for going solar. San Diego Gas & Electric: San Diego is pretty green, being one of the only inhabited areas of Southern California where you don't actually have to see smog very often. That being said, all the rebates have been gobbled up. San Francisco – Solar Energy Incentive Program: The city of San Francisco has some of the most aggressive solar incentives in the U.S. Depending on the size of the system you choose, you are eligible for $500 to $2,800 in incentives, plus $250 to $700 if you use a city installer, plus $2,000 to $7,000 if you can qualify for the “low income” designation. Incentives of up to $10,500 can make solar pretty cheap. 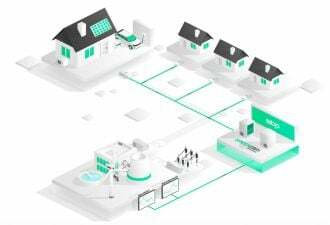 Santa Clara – Silicon Valley Power: Silicon Valley Power offers residents one of the best incentives in the state, at $1.50 per watt. Santa Monica Builder Permit Fee Waiver for Solar Projects: The city of Santa Monica has a building permit fee waiver for solar projects. Many cities in California have permit fees of up to $500. Don’t trip as you are running to line up for this one. Shasta Lake: Shasta Lake has a solar PV buy-down program that is currently (but not indefinitely) suspended. Sonoma Clean Power: The feed-in-tariff Sonoma Clean Power recently created for small-scale wind and solar is a standard offer transaction with a flat-fixed price of $95 per megawatt-hour. Projects must be smaller than 1 megawatt. Contracts are 10 years for baseload generating facilities or 20 years for other generating facilities. Southern California Edison: SCE’s website’s information on solar rebates encourages readers to “find a contractor and bask in the savings” while at the same time letting you know there are no longer any rebates available. Boo. Susanville – Lassen Municipal Utility District’s PV Rebate Program: If you live anywhere within Lassen MUD territory, solar is pretty much almost free. At a rebate of $2.80 per watt, if you live within the district but don’t have solar on your rooftop yet, you’re pretty much nuts. Truckee Donner PUD – Photovoltaic Buy Down Program: This program offers a $2.55-per-watt rebate for solar. Turlock Irrigation District PV Rebates Program: The commercial program is fully subscribed, but the residential program is still available. Ukiah Utilities PV Buydown Program: Ukiah’s rebate program offered a $1.40-per-watt incentive until June 30, 2013. Solar rebates no longer appear on the Ukiah utility website. Lassen County – PV Rebate Program: Residents of Lassen County are served by the Lassen Municipal Utility district, which offers an epic-sounding $2.80 per watt rebate on solar for the first 4 kilowatts -- but only up to $4,000, so the rebate sounds better than it really is, as in practice, you only get the rebate on the first 1.4 kilowatts. Marin County – Feed-In Tariff Program: Citizens of Marin County can sell back any excess power to the County -- from solar, wind, geothermal, or biomass. You have to dig for the information, but resources exist that will show you how much you can get for renewable energy in Marin County. San Diego County – Green Building Program: San Diego County residents going solar can take advantage of the Green Building Program, whereby the County will waive the building permit and plan-check fee, meaning additional savings of about $500. California Energy Commission – New Solar Homes: If you’re building a new home in California, take advantage of this. Incentives are up to 50 percent, and up to 75 percent for affordable housing tracts. The newest information on the program is available here. California Solar Initiative – Multi-Family Affordable Housing (MASH) and Single Family Affordable Housing (SASH): This program opens and closes at different times of the year, so if you are likely to qualify and it is not currently open, you should get on the wait list. This is a spectacular program if you qualify, since the most recent incentives ranged from $1.90 to $2.90 per watt. Considering solar PV costs around $5 per watt installed, that’s one giant discount. Figuring out who qualifies for MASH and SASH is a little complex, but the California Solar Initiative Handbook has a breakdown on page 21. These programs are slated to end December 31, 2015. California Solar Initiative – General PV Rebates: CSI distributed funds years ago to the major utilities to incentivize people to go solar -- back when PV cost $9+ a watt installed, large incentives were necessary to make solar feasible. Since solar is feasible now, there are periodically rebates available, though when available, they are smaller. Whether or not there are rebates available to you and when is a moving target that varies by utility. But you can check on that at the Go Solar California website. California Solar Initiative – Thermal/Solar Water Heating: Not quite as spectacular as the savings from solar PV, but still important, are these savings for solar water and pool heating. Incentives vary based on whether you are displacing natural gas or electricity, and, much like the PV Incentives, they go in “steps” -- the longer you wait, the less your rebates will be, and they will eventually be exhausted. PACE: PACE, which stands for property-assessed clean energy, allows homeowners to finance a solar system upfront with little or no down payment, regardless of your credit score, and pay the money back over 20 years through property tax assessments. Unfortunately, while the PACE program sounds good in theory, the rules for it were originally written so that if you don’t pay your mortgage, the solar panels get paid off before your lender does, forcing lenders to refuse to lend on any home with PACE financing. In order to make PACE viable, a some regions in California have set aside reserves in the event of defaults. The list of areas with PACE financing is available here. David Jeffries owns Sierra Nevada Solar, a company that helps consumers connect with the best solar contractors in their area. This post was originally published on the Sierra Nevada Solar blog. Reprinted with permission.